Material grades and designs for powerglide input shafts - What do they mean? 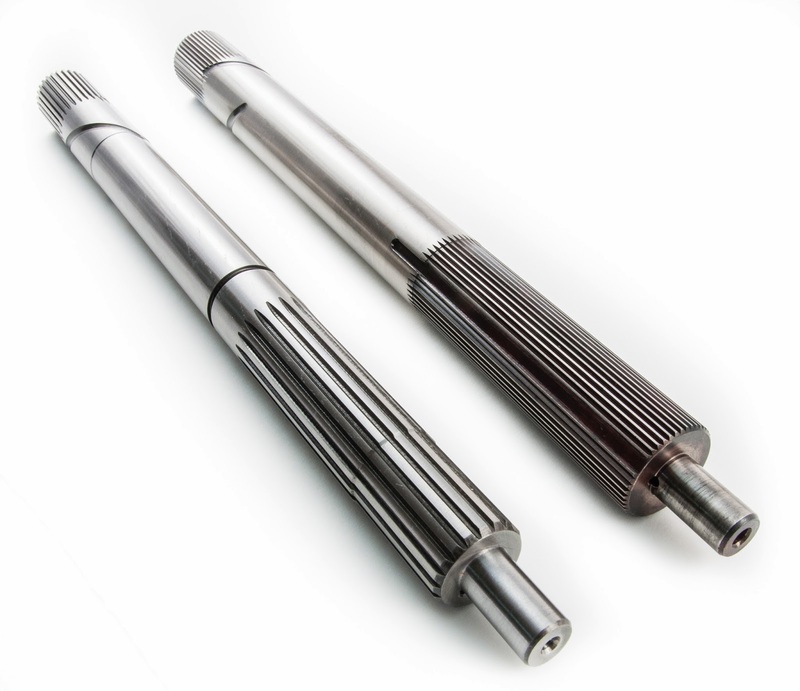 Powerglide input shafts are available in a number of different designs and material grades. We'll break these down so they are a little easier to understand. 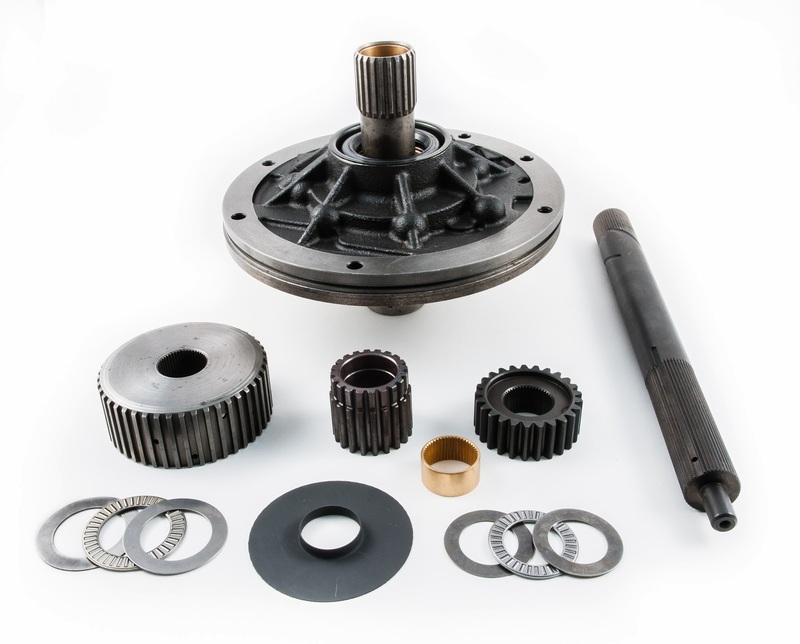 In OEM applications, a powerglide input shaft has a 17 count spline that engages the torque converter and two sealing rings midway down the shaft to complete the cooling circuit. The shaft also has a number of oiling holes throughout to complete the lubrication and hydraulics. Unfortunately, the OEM input shaft is one of the first areas to fail in a performance application. The low grade material, the shaft diameter, and overall design were not intended for anything beyond low horsepower, street driven passenger cars. The shafts will often twist or break at the converter side. Material upgrades increase the strength to a point. We recommend the powerglide spline (17) input shafts made from quality steel at power levels under 700 horsepower and 600 ft lbs of torque. The first input shaft design upgrades changed this 17 spline design to the 30 spline count. Also known as a turbo spline, this is the same spline used in the Turbo Hydromatic transmissions (TH350 and TH400). The larger diameter shaft paired with an upgrade in material quality gives this new input shaft a lot more backbone. We recommend the turbo spline (30) input shafts made from quality 4340 steel at power levels under 1000 horsepower and 800 foot lbs of torque in vehicles under 3000 lbs. As power levels increased over the years, the next weak link in the shaft was revealed to be the sealing ring lands for the cooler circuit. The sharp edges of the 2 ring lands created a place where the shaft would break clean in high horsepower and torque setups. To address this, the rings were deleted and the shafts were made solid. However, this ring elimination comes with a cost - no proper cooling circuit. Hot transmission oil exiting the torque converter flows directly past the cooler exits and into the planetary gear set. This setup is only suitable in race cars that are towed to and from the starting and finish lines or in transmissions that do not have a special upgraded pump. Today's high performance powerglide "ringless" input shafts have solved this cooler circuit problem by using a special pump design. BTE's new high volume powerglide pump features an internal bushing system that mates with our new ringless input shaft. In this pairing, we have a completely solid VascoMax 300 steel input shaft that also retains proper cooling flow. BTE recommends the ringless VascoMax turbo spline (30) input shafts in applications between 1000 and 2700 horsepower and 800 and 2000 ft lbs of torque in vehicles under 2800 lbs. Beyond these power levels, BTE offers a special 48 spline shaft made from Aermet grade material. If your application is making more than 2700 horsepower, we offer this shaft as a total conversion kit. The OD is increased to 1.125 inches and requires a special pump, planetary center gear, washers, clutch hub, and torque converter turbine spline. Call us at 1-800-626-1828 for more information on this custom transmission. 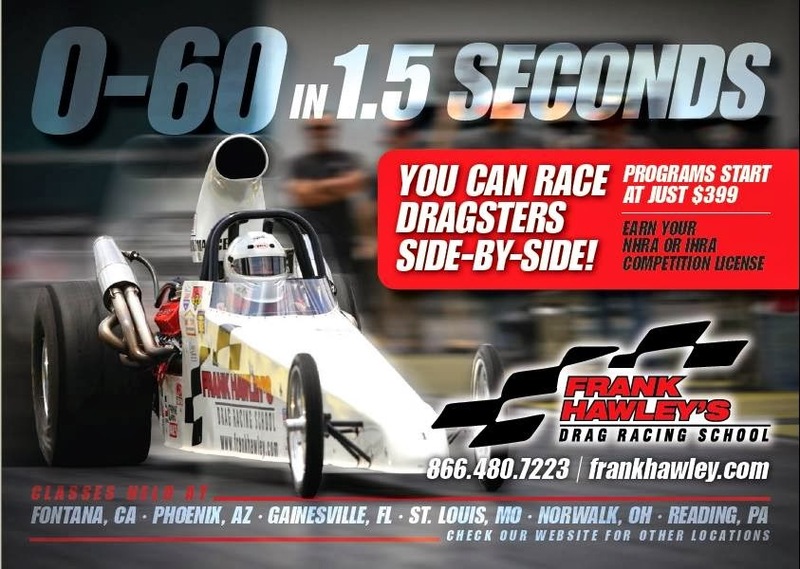 Have you ever wanted to try racing a Super Comp dragster or getting your competition license? 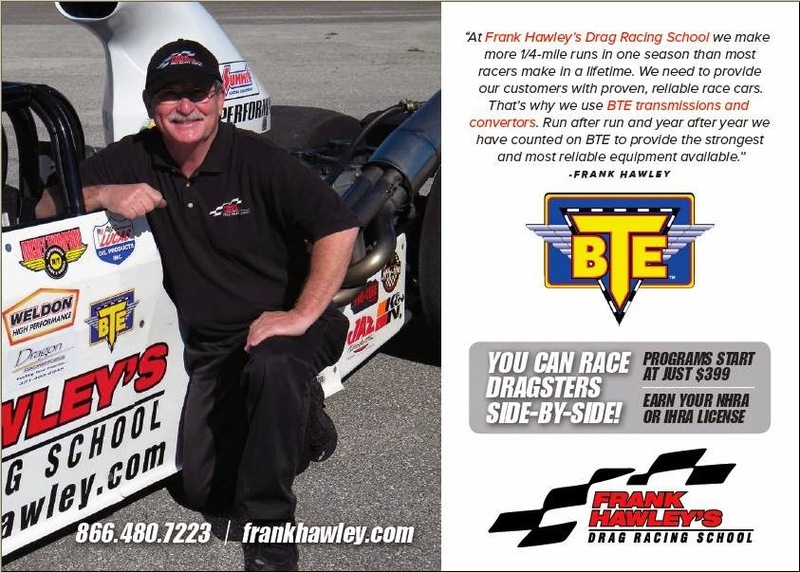 The legendary Frank Hawley's Drag Racing School has a great program available for drivers of all experience levels. BTE is a proud partner with the driving school supplying all of their racing transmission and torque converter needs. Visit frankhawley.com for more information.